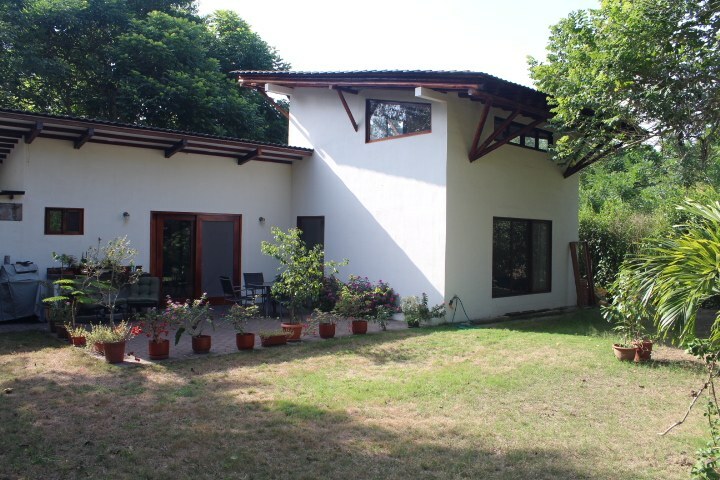 Beautiful home in a green, natural setting with North American comforts. 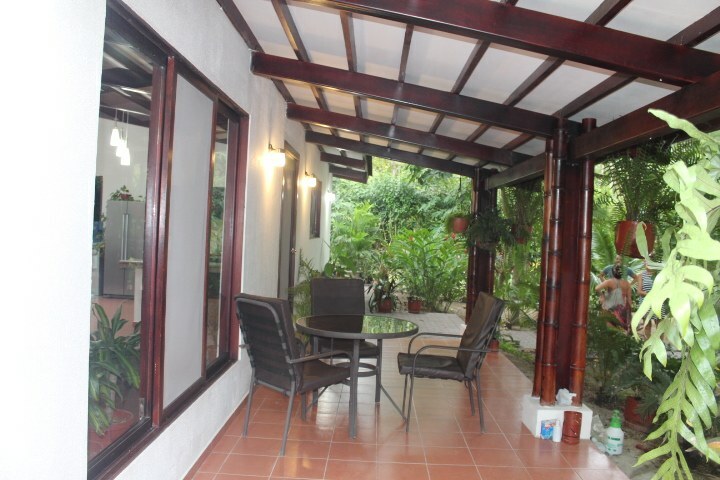 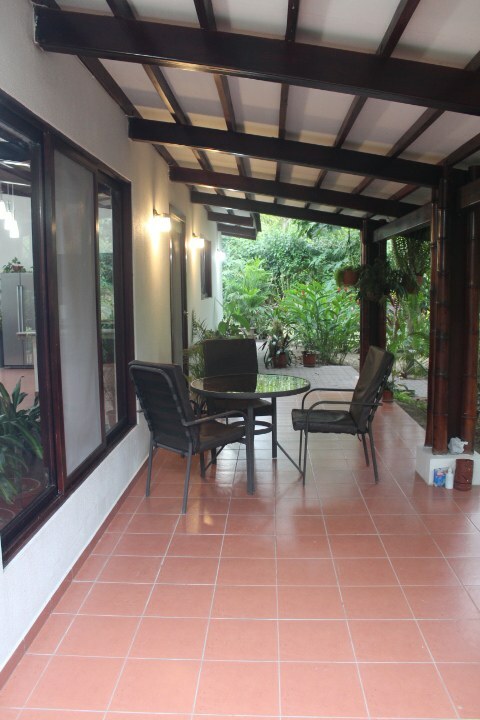 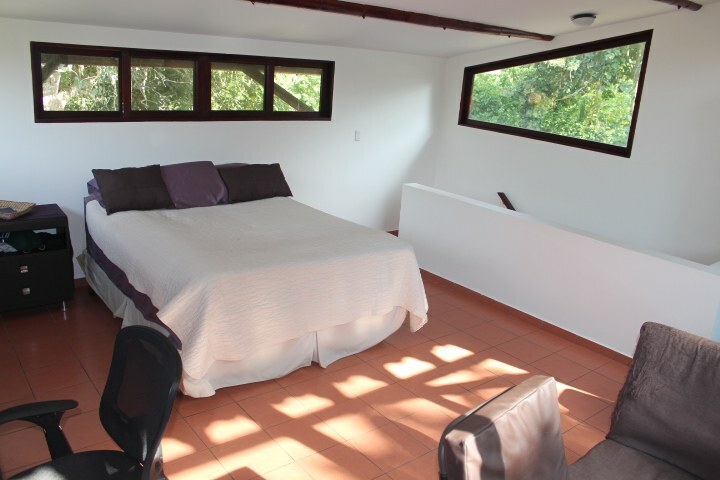 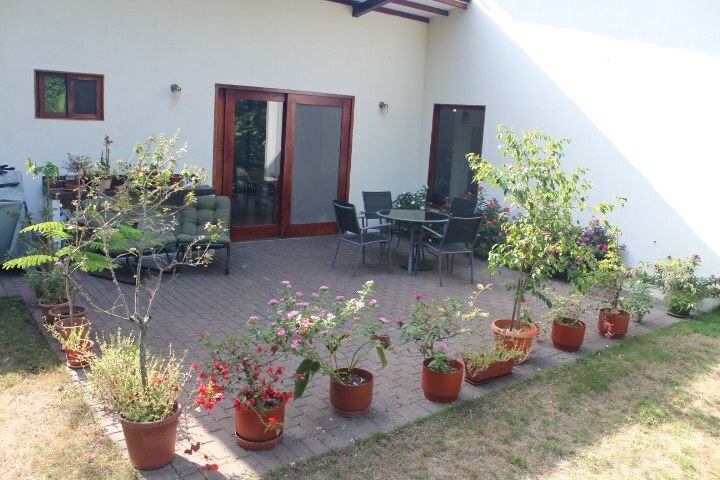 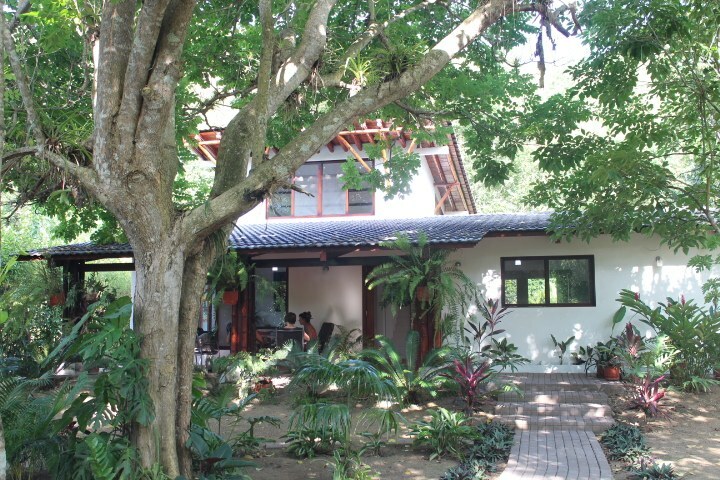 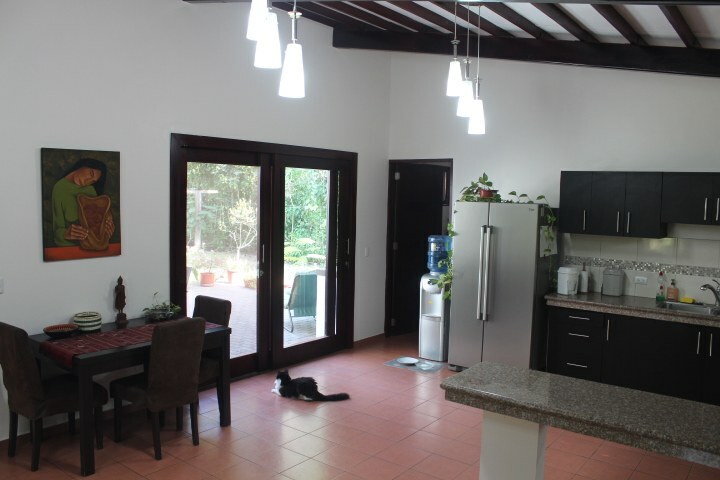 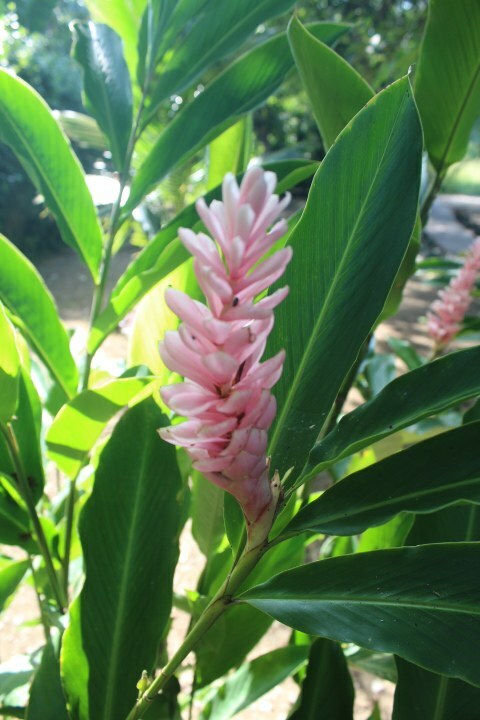 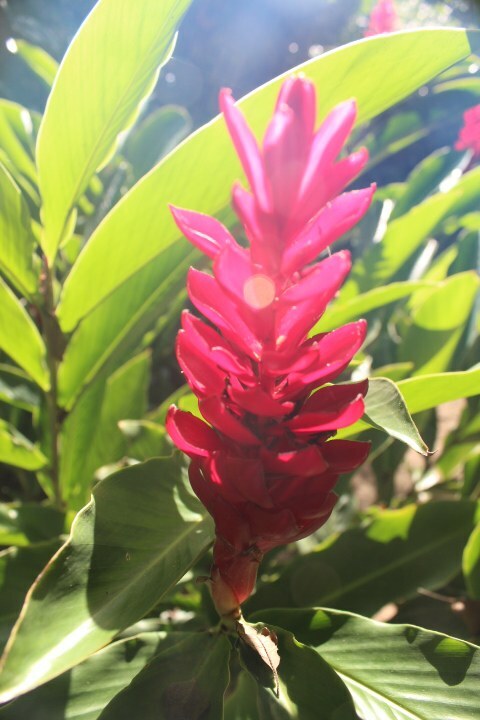 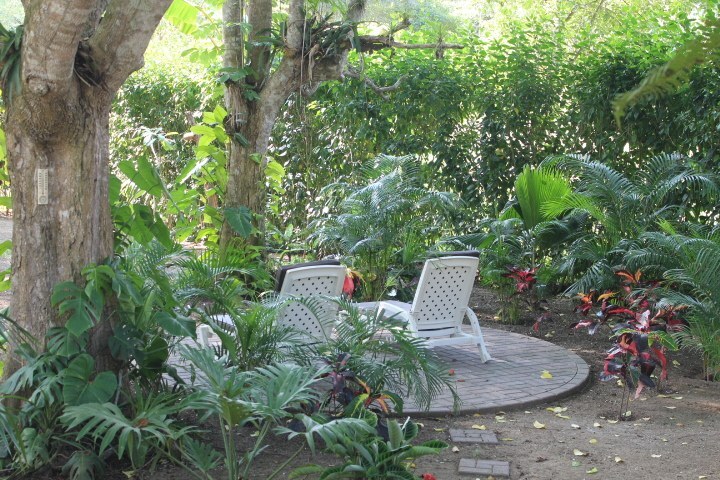 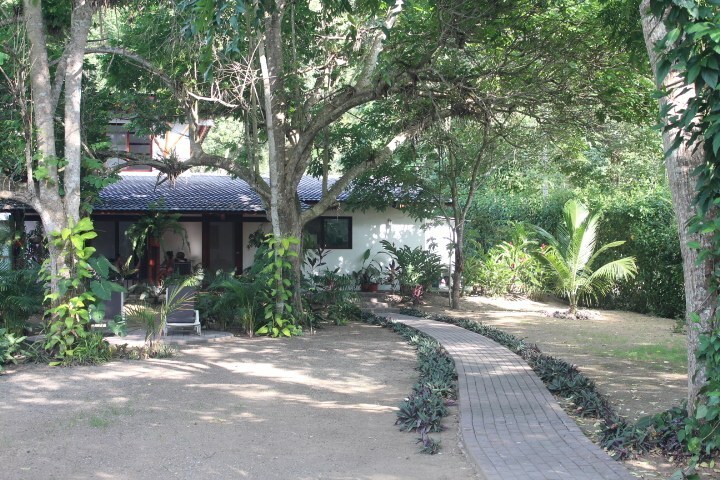 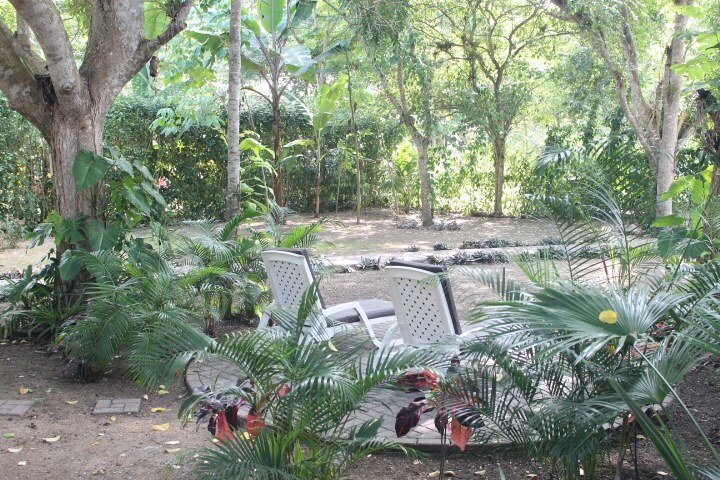 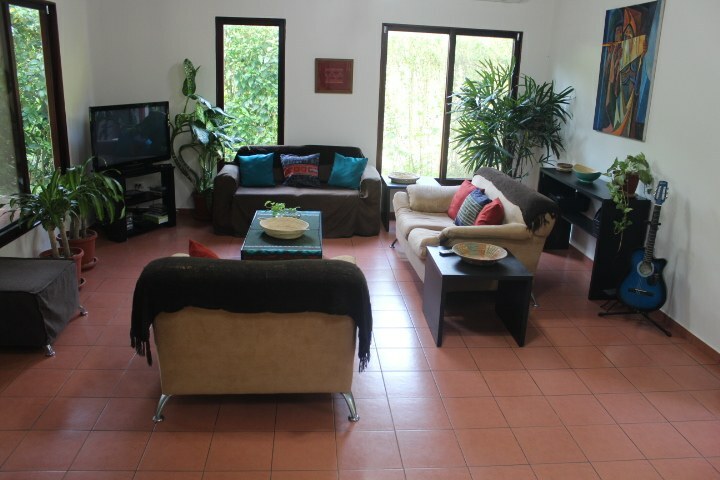 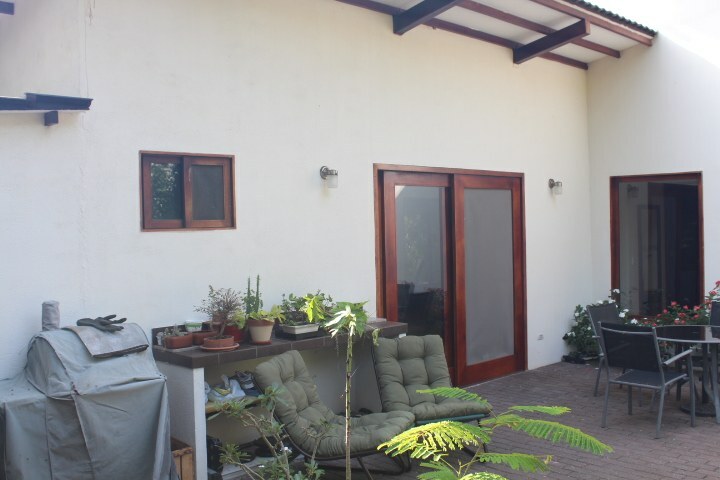 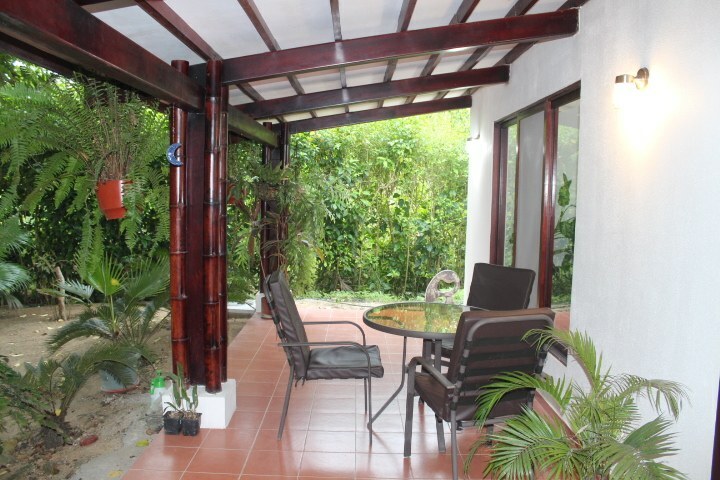 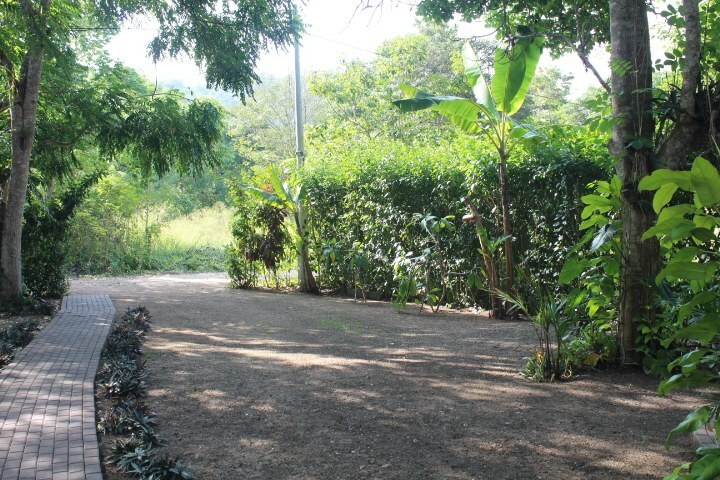 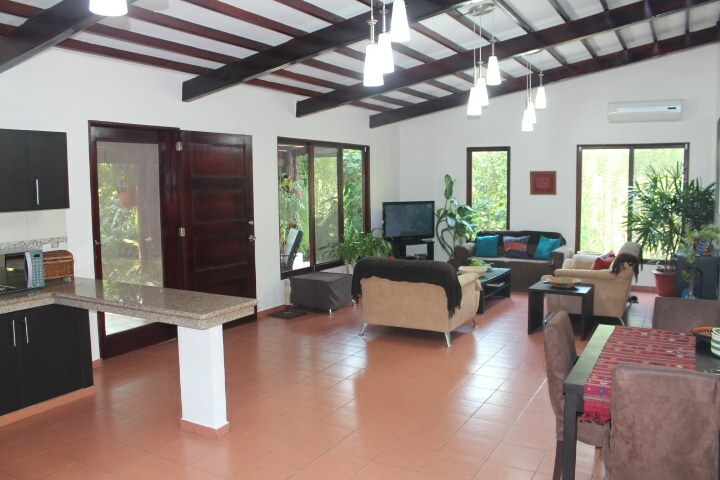 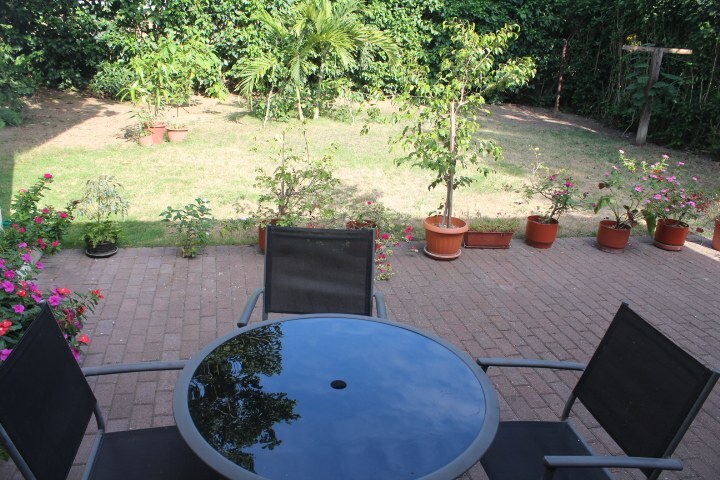 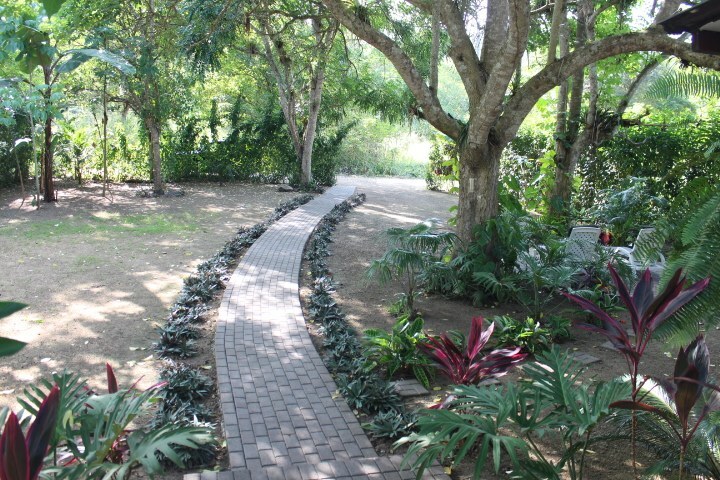 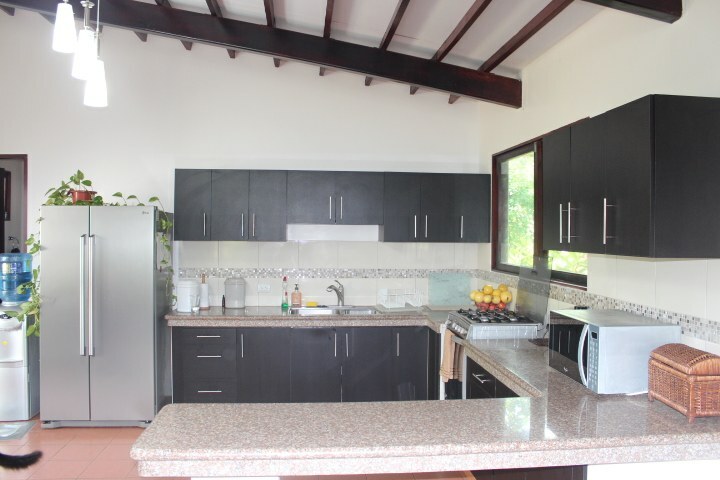 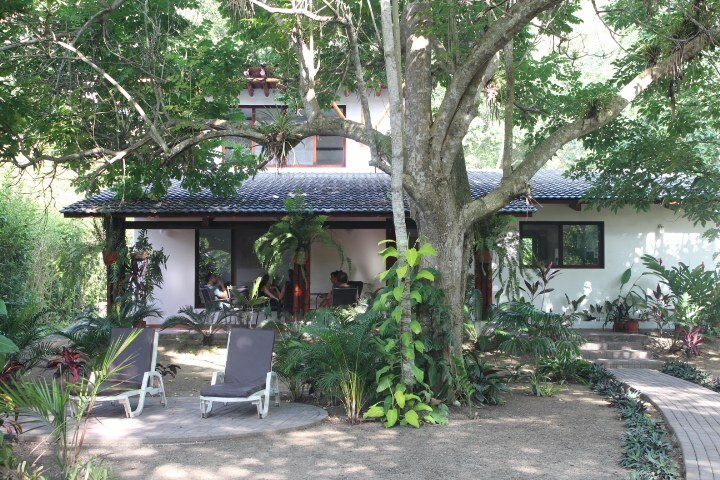 The property has tons of big trees, is surrounded by a high hibiscus hedge and has banana and other fruit trees. 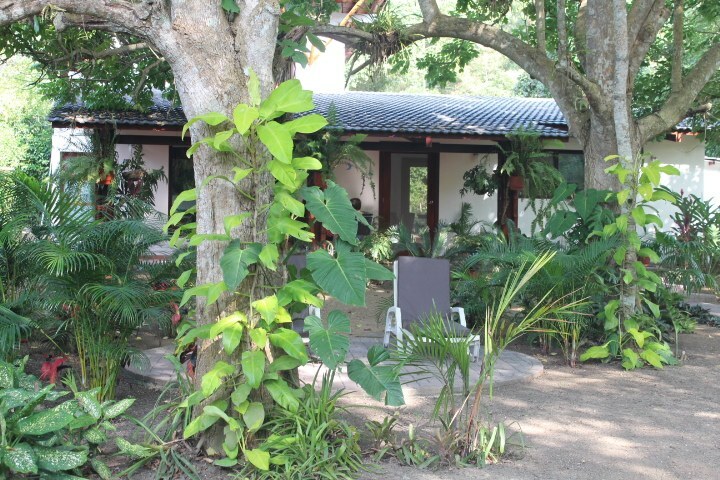 This is the ideal spot for anyone who loves nature, and wishes to be close to the beach but to have a quiet respite from the tourists. 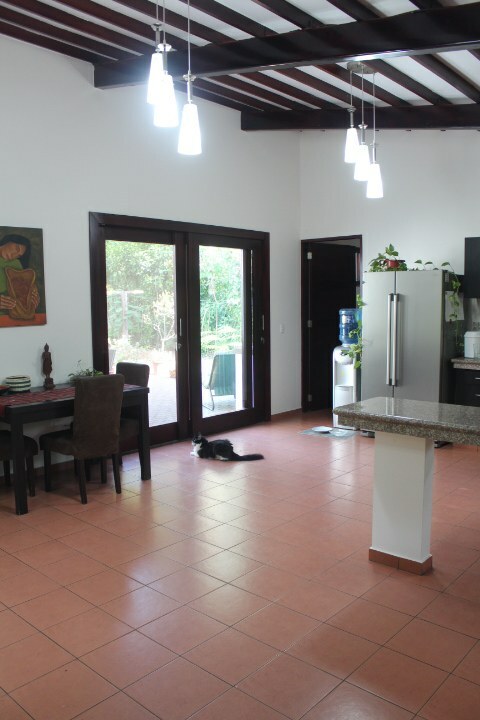 Plenty of space to play for kids and pets, but please let us know about pets in advance. 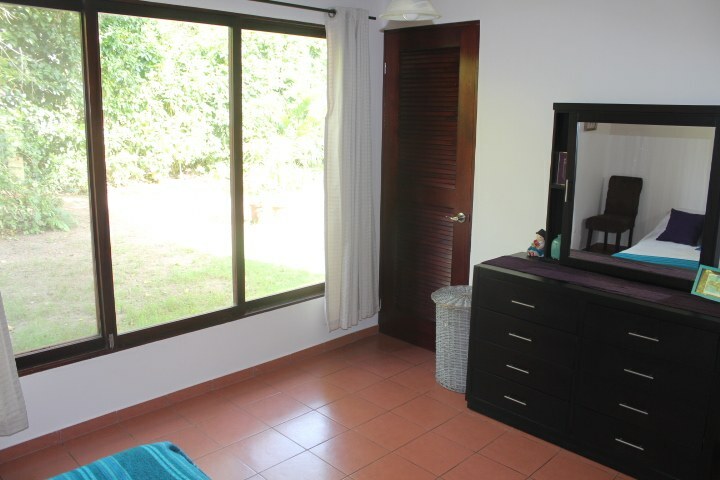 The upstairs bedroom and workspace has a queen sized bed and a large closet with drawers that can be used by renters to make themselves at home. 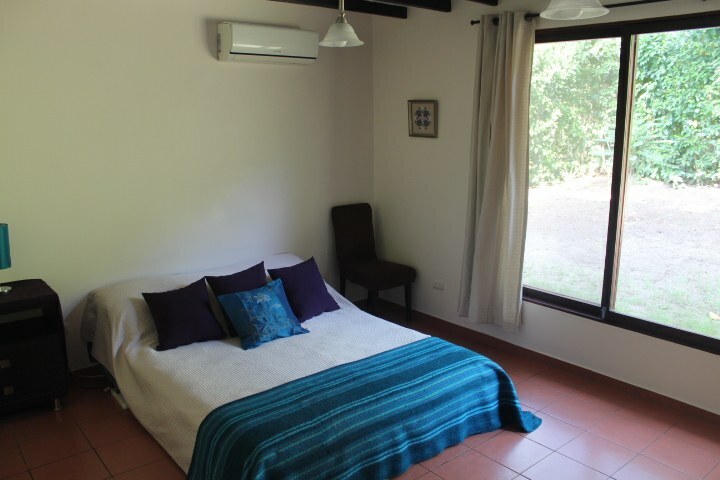 The downstairs bedroom has a chest of drawers and a high quality comfortable full sized self-inflatable mattress allowing it to be used as a 2nd bedroom, along with a large chest of drawers. 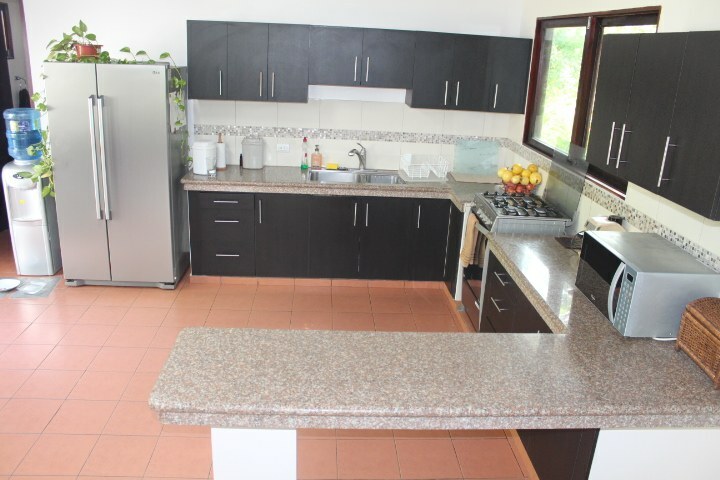 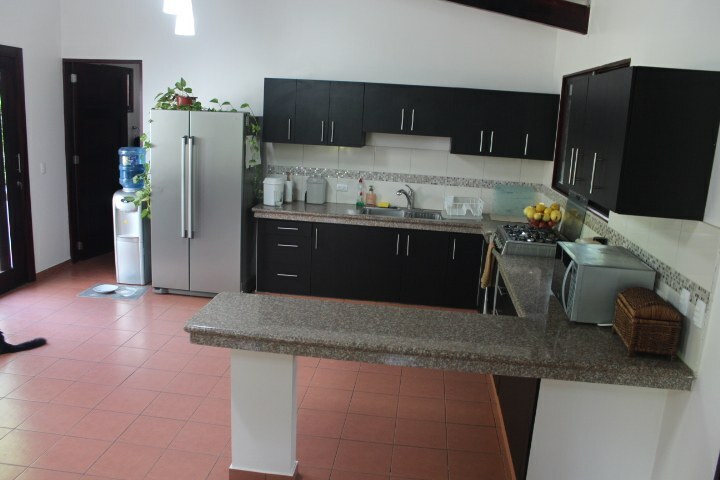 Renters can enjoy a fully equipped kitchen, several beautiful outdoor environments with seating, and laundry facilities. 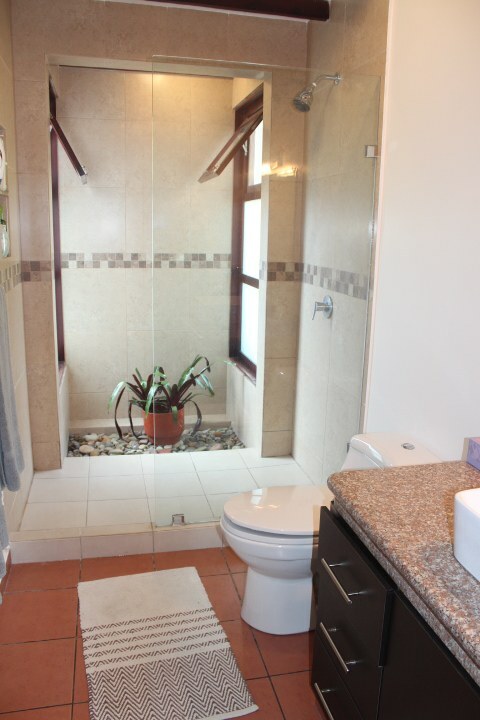 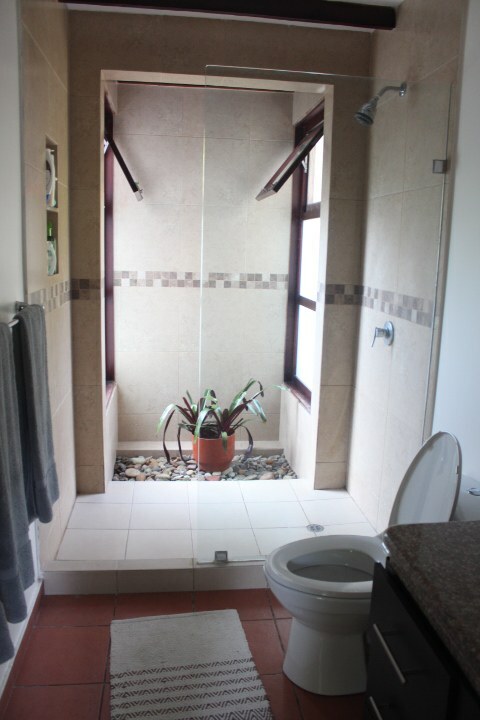 There is also hot water in the showers, sinks and washing machine, and toilet paper can be flushed down the toilets. 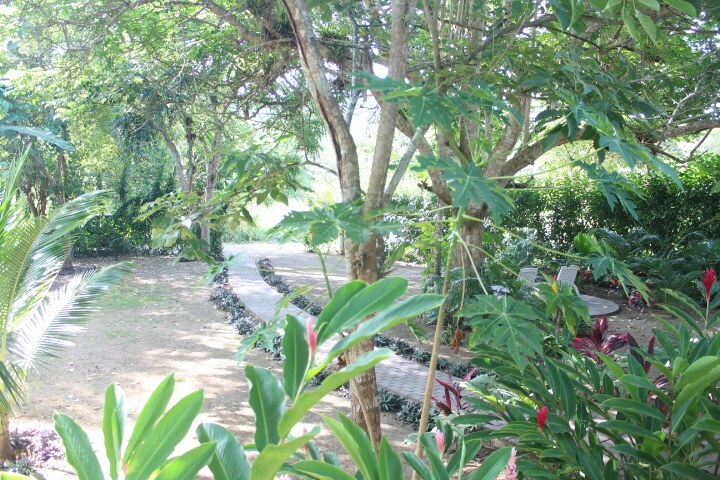 The neighborhood is perfect for taking walks and we are just 5 minutes by taxi to Manglaralto and the beach or 8 minutes from the bustling surf town of Montanita. 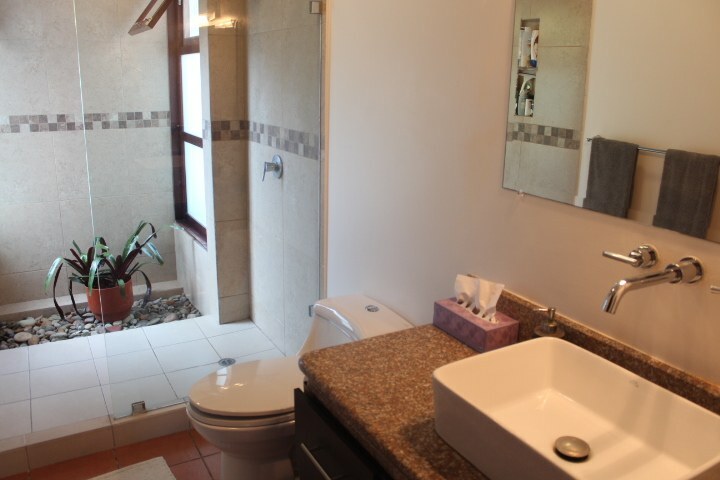 Internet and water are included. 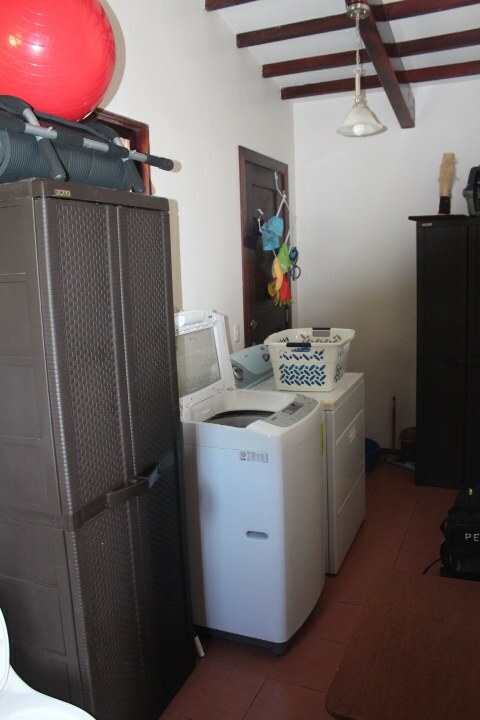 (Renter will pay electricity).